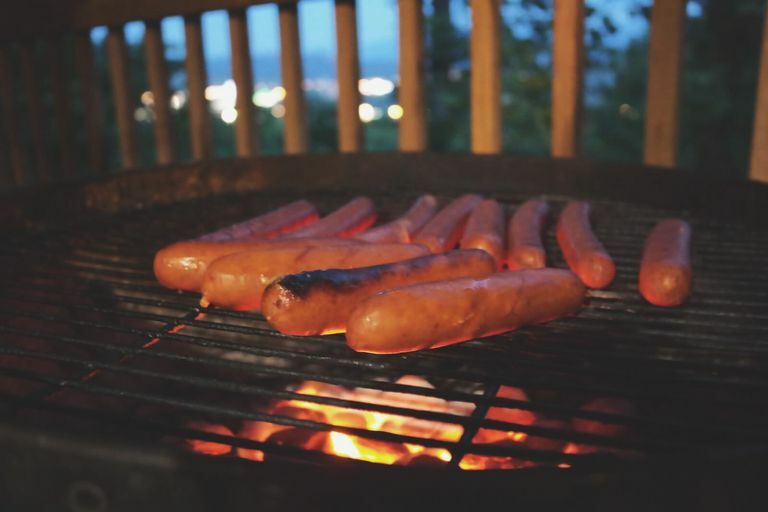 Hot dogs make a great quick meal for kids and adults alike and can be loads of fun to cook on the grill. But while the stores are filled with different brands of frankfurters, are any of them considered gluten-free? Although you might not be able to find all of these brands at your local supermarket, you should be able to find at least one or two. Read on for the details about each brand of hot dogs and its gluten-free status. Here's a list of what hot dogs are available, and what their manufacturers say about their gluten-free status. Applegate Farms. Applegate Farms produces six different types of organic hot dogs from beef, chicken, turkey, and pork, plus four more "natural" hot dog varieties. According to the company, all are considered gluten-free to at least 20 parts per million, and there is no gluten used in the facility where the hot dogs are manufactured. Ball Park. Ball Park Franks states that its hot dogs' labels will reflect the ingredients in the products. Bar-S. One Bar-S hot dog product contains gluten: the corn dogs (available in three versions) include wheat flour in the batter. The others contain ​no gluten ingredients, but may be manufactured in the same facility as the corn dogs. Boar's Head. Boar's Head, which makes luncheon meats, cheeses, and other products in addition to hot dogs, lists everything it makes as gluten-free. The company works with its suppliers to make sure the ingredients coming into its plants are free of gluten, a company spokesperson says. Dietz & Watson. Almost all of Dietz & Watson's products are gluten-free (avoid the scrapple and the bockwurst). The company is certified gluten-free by the National Celiac Association, which means its products are tested to make certain they contain fewer than 5 parts per million of gluten. Hebrew National. Hebrew National is a subsidiary of ConAgra Foods, which has a policy of disclosing any gluten ingredients on product labels. The company says gluten-free consumers should check labels for any ingredient from a wheat, barley or rye source, which will be fully disclosed. The company does not label its products "gluten-free," and will not necessarily disclose any potential cross-contamination issues. Therefore, you should assume Hebrew National products meet "no gluten ingredients" standards but not necessarily "gluten-free" standards. Kunzler. Kunzler makes hot dogs, bacon, ham, and lunch meats. According to the company, its hot dogs contain only naturally gluten-free ingredients and are made in a separate gluten-free room. Nathan's Famous. Nathan's hot dogs are considered gluten-free to at least 20 parts per million. The company says it produces the products in a gluten-free facility. Organic Prairie. Organic Valley brand Organic Prairie states that all its meats, including its hot dogs, are gluten-free. The company does note that the packaging of some of its meat products might contain corn gluten, so you should call the company for further information if you're also sensitive to corn. Oscar Mayer. Oscar Mayer, a Kraft company, follows the Kraft policy of disclosing any gluten-containing ingredients on the product's label, and so gluten-free consumers considering an Oscar Mayer hot dog should check the label. Sabrett. Sabrett's hot dogs (and its other products) are certified gluten-free by the Gluten-Free Certification Organization (GFCO), which means they contain less than 10ppm of gluten. Wellshire Farms. Wellshire Farms, a very allergy-friendly company, makes several different types of hot dogs. The company states that "we strive very hard to avoid any cross contamination in our plants​ of ​trace gluten." As you can see, there are multiple companies that make gluten-free hot dogs, plus two that have taken the extra step to get their products certified gluten-free (which means those hot dogs meet more stringent standards and may contain less gluten cross-contamination than non-certified products). If you're particularly sensitive to trace gluten, you may want to consider sticking with Dietz & Watson's hot dogs or Sabrett's hot dogs, both of which are certified. Otherwise, you should be fine with any of the gluten-free hot dog makers on this list. Pick up some gluten-free hot dog buns, and enjoy.